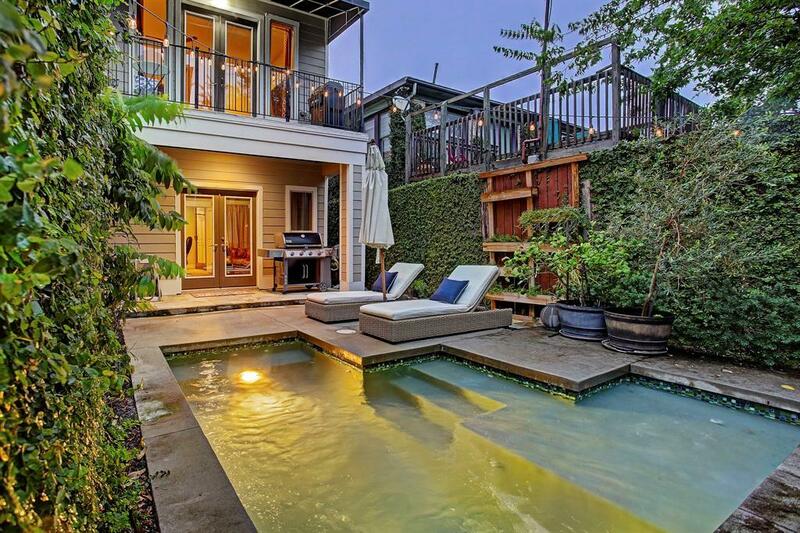 Stunning contemporary home features backyard oasis complete with a heated pool/hot tub combination. 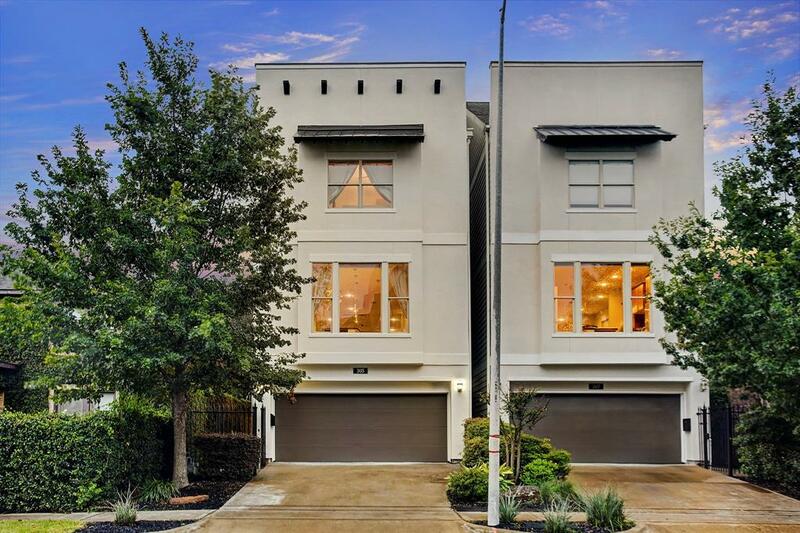 This 4 story home showcases its perfectly executed floor-plan with well appointed finishes. Upon entry, the first floor boasts a guest bedroom and ensuite bathroom as well as access to the attached garage. Main living is located on the second floor featuring a gourmet island kitchen complete with a built in wine fridge and stainless steel appliances. 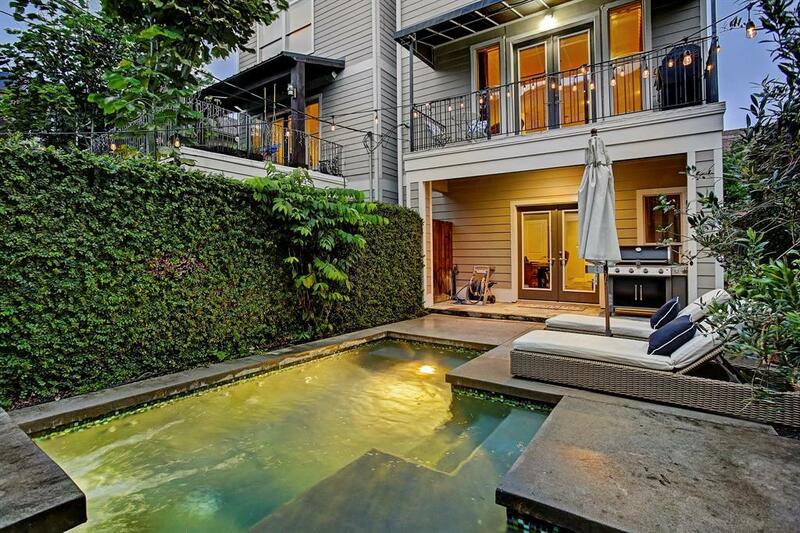 Open concept main living space and second floor balcony are perfect for entertaining. A large master suite with luxurious bathroom features a frame-less glass shower and double closets. 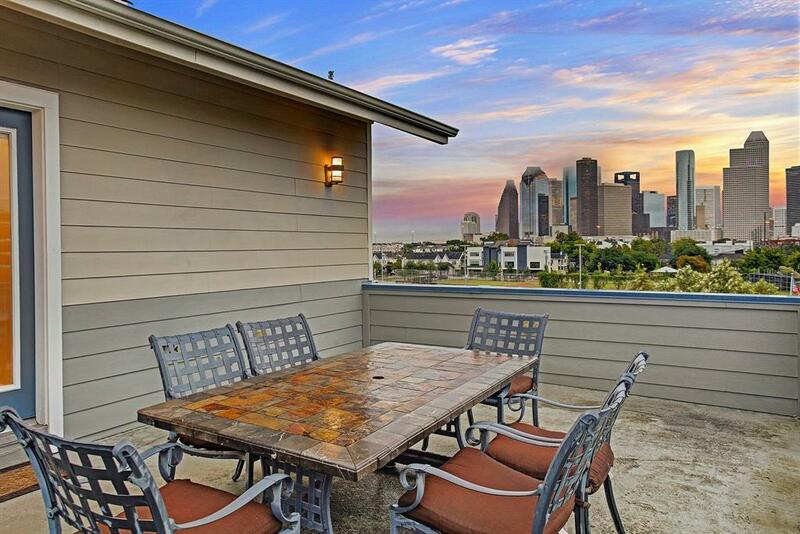 The oversized rooftop deck with spectacular view of downtown round out this fantastic home.